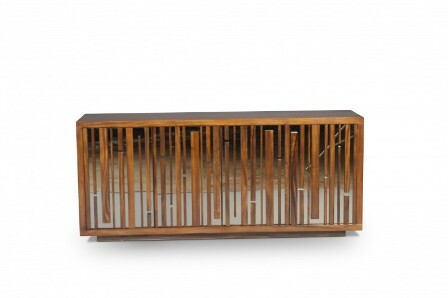 The Edo Buffet is great for the dining room or living room. Great in storage space, the buffet has four doors that open to plenty of storage space and shelves. Made from MDF and finished with a high gloss lacquer, the Edo Buffet stands strong on its nickel-plated steel base. Store away dishes or any knickknacks you may have in the house that you want to put out of sight with the Edo Buffet.